On a daily basis lakhs of people travel to Andheri East and West for work, education and entertainment. It enjoys a central location and multi-modal transit options making it easy for one to get from work to play within this microcosm of a suburb. The proximity of the Chhatrapati Shivaji International airport in Andheri and the supplementary domestic airport in nearby Santa Cruz has added to the allure of Andheri’s centrality. Andheri also enjoys close proximity to nearby business hubs such as BKC in the south, Powai and Vikhroli in the east, and Goregaon in the north. Andheri is a fairly large western suburb in the heart of Mumbai. It stretches from the Mumbai coastline in the west to the central suburb of Kurla in the east. The western railway line providing north-south connectivity divides Andheri into east and west. Both sections of the suburb are connected via the Gokhale bridge for road commuters while the Metro Line 1 provides Mass Rapid Transit (MRT) east-west connectivity. In fact, Andheri is the first suburb in Mumbai to be connected via Metro. It extends from Versova, close to the coast or beach, up to Ghatkopar railway station in the east connecting prime centres of Andheri such as D.N. Nagar, Andheri highway, Chakala, Saki Naka and Asalpha on-route. Andheri is also well connected by a network of roads, link roads and the Western Express Highway (WEH) to various parts of Mumbai. These include the Andheri-Kurla Road in the east, Swami Vivekanand Road and Link Road in the west, and the arterial Jogeshwari-Vikhroli Link Road (JVLR) which provides connectivity from the WEH to eastern suburb of Vikhroli via Andheri and Powai. Literally no other suburb in Mumbai boasts of this sort of infrastructure providing widespread connectivity. This will receive a further boost with the upcoming Metro Line 3 which will connect Andheri to Colaba in South Mumbai, and many business hubs along the way, as well as Metro Line 7 which will traverse along the WEH, from Andheri East to Dahisar East in the north. Ambitious, proposed projects such as the coastal road and water taxis will augment and take this connectivity to the next level. Andheri was one of the first few employment hubs to emerge in the suburbs in an attempt to relocate jobs from the financial district of Nariman Point and Colaba in South Mumbai towards Suburban and Metropolitan Mumbai. This was strategically done to reduce the burden on transport infrastructure and shorten commute time and distance for people travelling from the distant suburbs. For residents of Andheri, however, this means an effective ‘walk to work’ culture and better work-life balance, supported by the great connectivity options. Traditionally, Andheri East is the more industrial section of Andheri. In 1973, the Santacruz Electronics Export Processing Zone (SEEPZ) was set up as a special economic zone in Andheri East. Today it is home to various companies and small businesses. The Maharashtra Industrial Development Corporation (MIDC) also set up its IT Park in Andheri East. 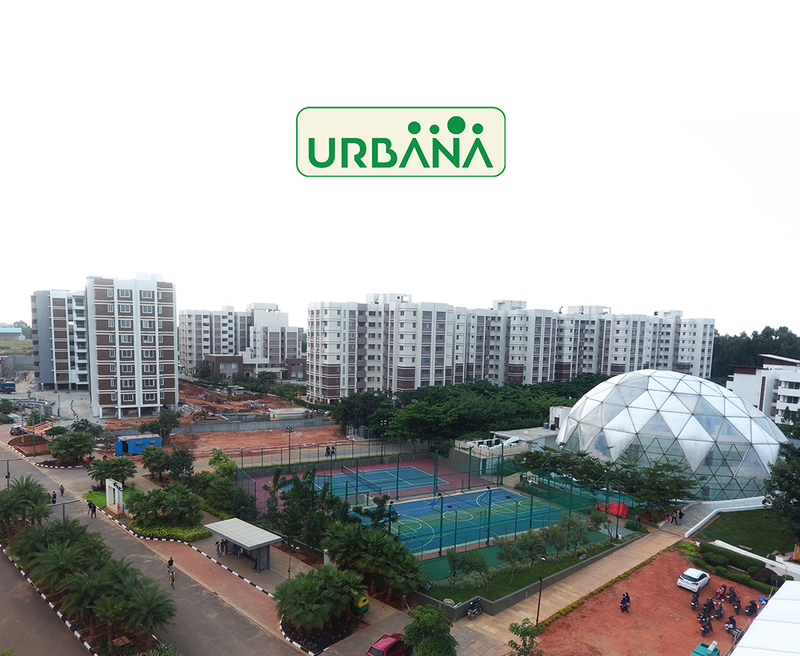 There are also numerous business, knowledge and IT Parks here such as Technopolis Knowledge Park, Ackruti Trade Centre, L&T Business Park and Kanakia Wall Street among others. Andheri West on the hand is better known for its entertainment based businesses such as film, multimedia and animation studios, large strip malls and showrooms. Andheri is well known as the cultural and entertainment hub of suburban Mumbai. It houses many top eatery franchises and chains such as Bar Stock Exchange, Urban Tadka, Bombay Barbecue and many others. Popular cinema and mall franchises such as PVR, Infiniti, Cinemax and Carnival are located in Andheri. Celebrity movie screenings are scheduled at many of these, making Andheri a celebrity-spotting hot spot. Andheri is also well known for its thriving nightlife and party clubs such as Tap Resto Bar, Brewbot, Social as well as luxury hotels such as The Leela, Courtyard by Marriott, Hyatt Regency, ITC Maratha, The Lalit and Holiday Inn, making Andheri the suburb with the highest density of not only luxury hotels, but luxury apartments in Andheri Mumbai. Many movie stars, models, sportspersons, writers and other celebrities call Andheri home which attaches a social standard to this suburb and attracts more developers and homebuyers. Who wouldn’t want to live in the most sought after suburb of Mumbai? For as long as Andheri has existed, it has been home to a variety of cultures from various parts of the country. This suburb is a veritable melting pot of religions, cultures and socio-economic diversity. Andheri has many colleges and higher education institutes such as SP Jain, Pearl Academy, Bhavan’s College and Chinai College. There are numerous churches, temples, mosques and gurdwaras. Seven Hills, Kokilaben Dhirubhai Ambani, Bellevue, Holy Spirit, and Criticare are some of the well known hospitals in Andheri, beside the smaller nursing homes, clinics and emergency care centres.These social amenities ensure a high quality daily life in Andheri with many conveniences and essentials, close at hand. Development of housing in Andheri has evolved in sync with the evolution of homebuyers – from the simple flats of the 80s and 90s to premium apartments and luxury residences, large complexes and gated communities. Home to both luxury apartments to budget flats in Mumbai, Andheri is a prime example of a suburb that has grown in-step with its populace through planning and good execution. It has matured into a residential destination of choice for Mumbaikars who aspire to live the high life. In such a vibrant, multi-cultural, upwardly mobile and well connected suburb as Andheri, Ozone Group is proud to present ‘The Gateway’, a luxury residential offering being developed in partnership with the Raheja Group. The Gateway is a RERA registered-P51800002922 project offering spacious 2 and 3 BHK homes with premium amenities right next to the D.N. Nagar metro station in Andheri West. 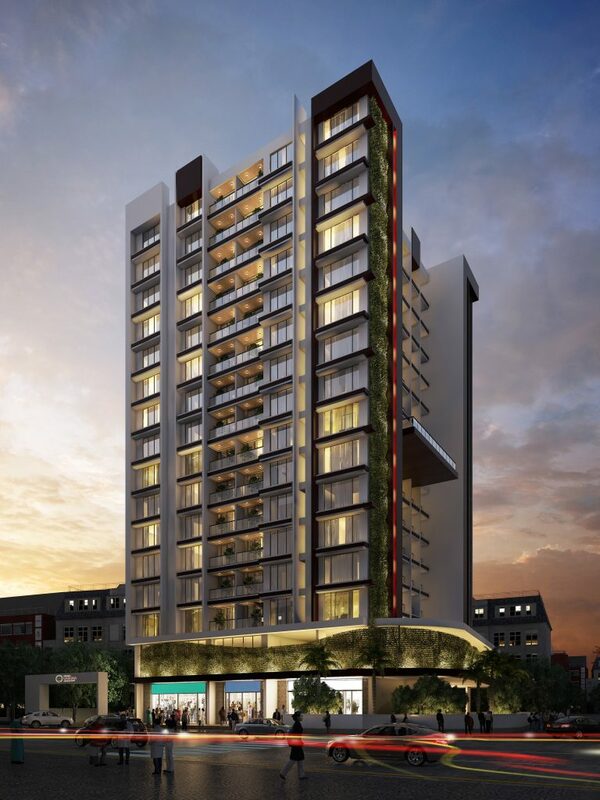 Almost 70% complete, The Gateway will offer residents an elevated lifestyle in a most sought after suburb of Mumbai.